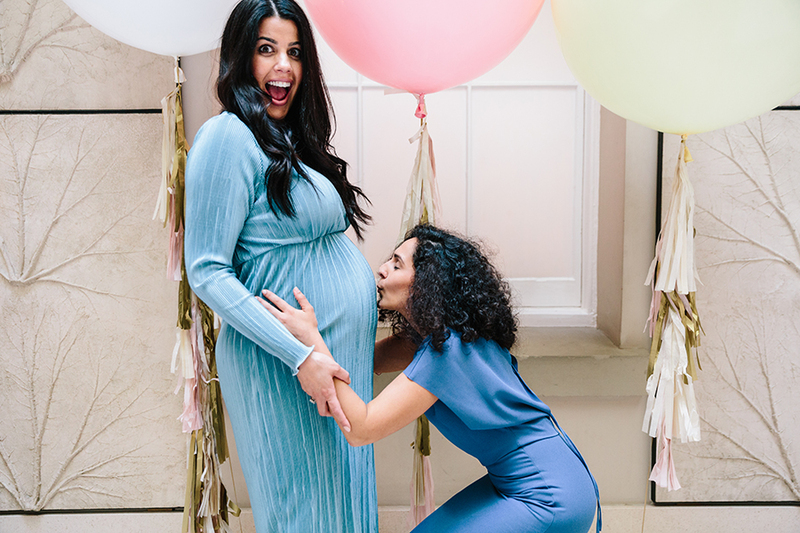 In the beginning of April I had a little baby shower here in London to celebrate the upcoming arrival of my baby girl Grace. 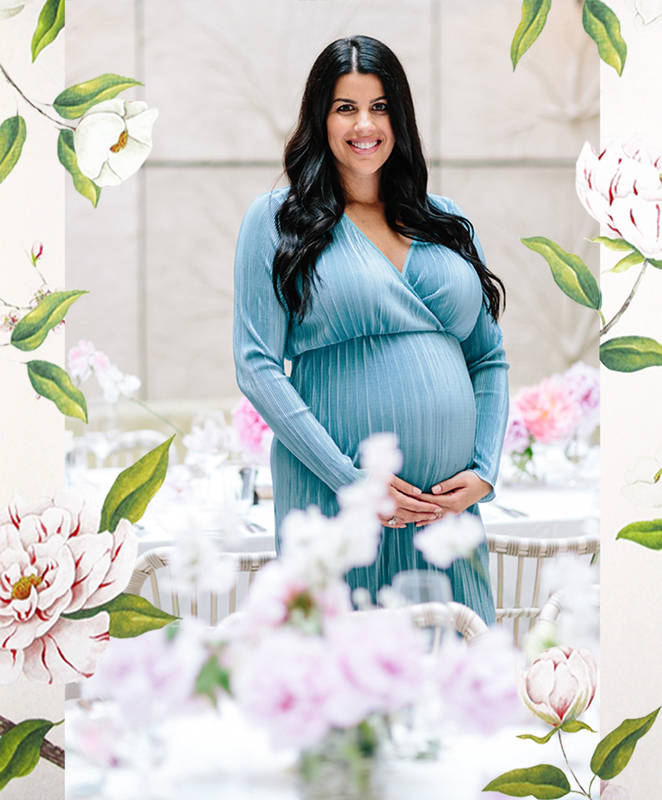 I celebrated with family and friends and it was a full on botanical theme with pops of orchids (for our hair) and pink peonies (for the tablescape) set aside the prettiest backdrop of Spring Restaurant at Somerset House. 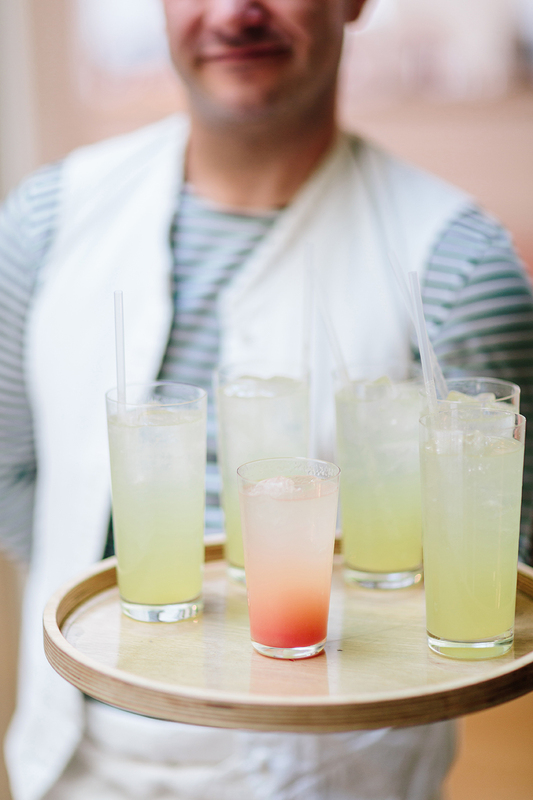 I wanted to share some pics from the day and some of my favorite vendors that I have used here in London (they are all amazing to work with if you need some ideas for an upcoming party). Hope you enjoy! 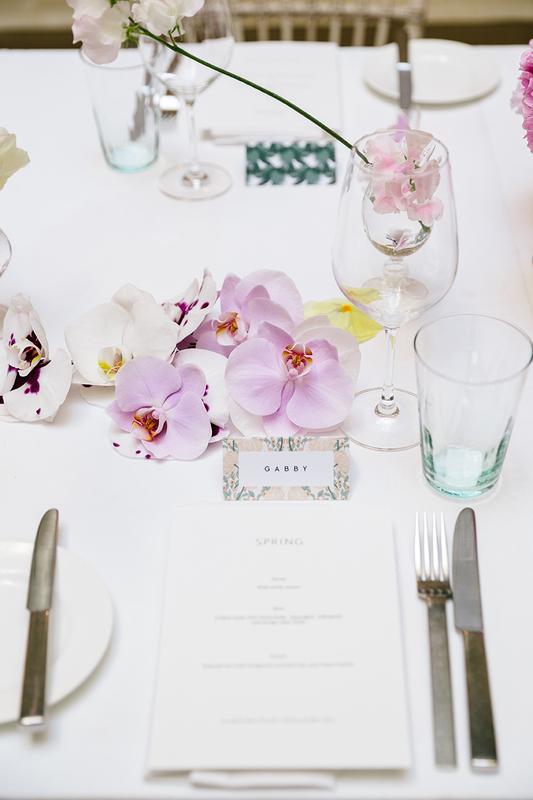 We celebrated at Spring Restaurant which is located at Somerset House in London. 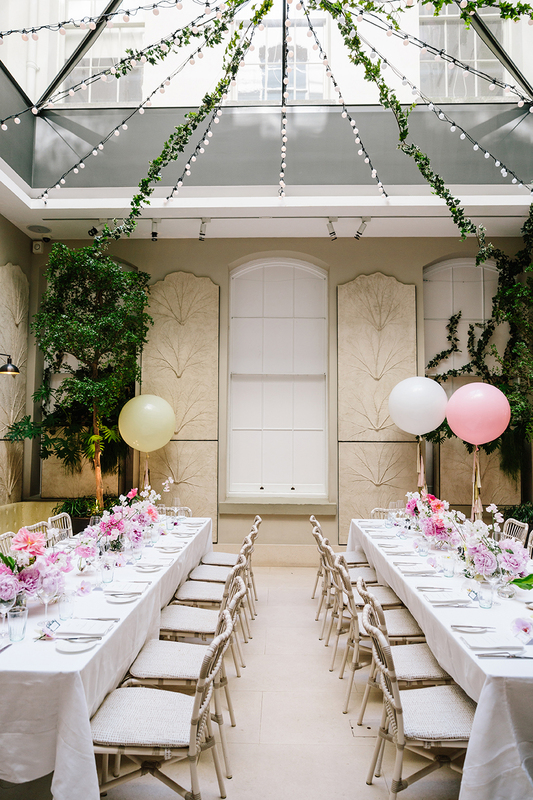 It is one of the prettiest restaurants in the city (in my opinion, although I would say this is more of a fact as well) and their private room called “The Salon” is so bright and airy, filled with lots of greenery (my favorite). 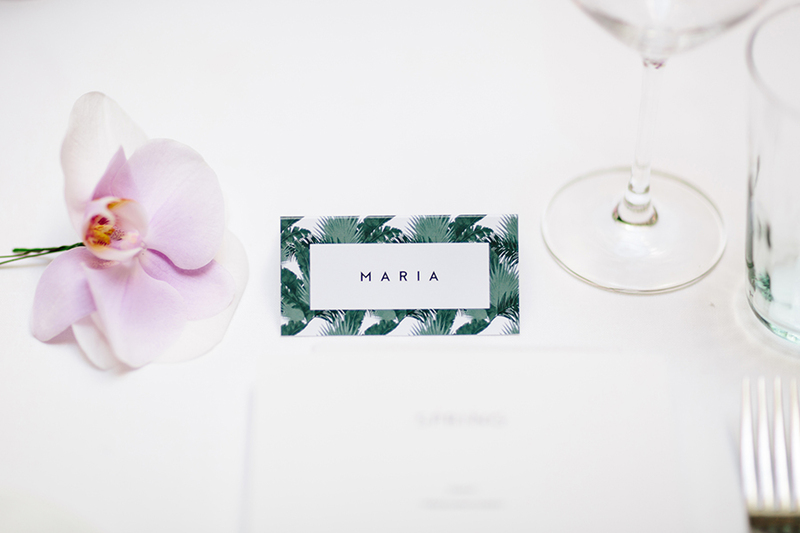 The place cards were designed by Alicia and Rebecca at Tuppence Collective (they also made the invitations and thank you cards). I am obsessed with their vintage floral designs … definitely check out their site! Peach Bellini and Elderflower cocktails were served during cocktail time. I unfortunately didn’t try either … (next time for sure). 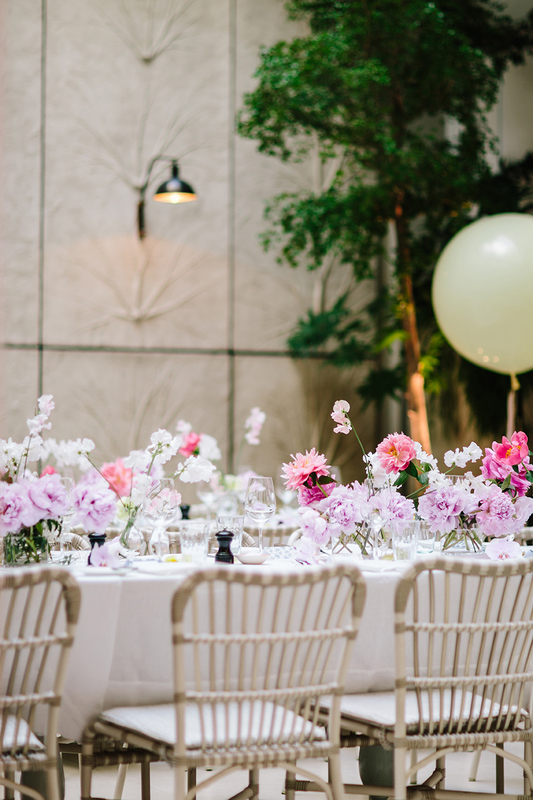 The florals on the tables were done by the amazing Fjura. 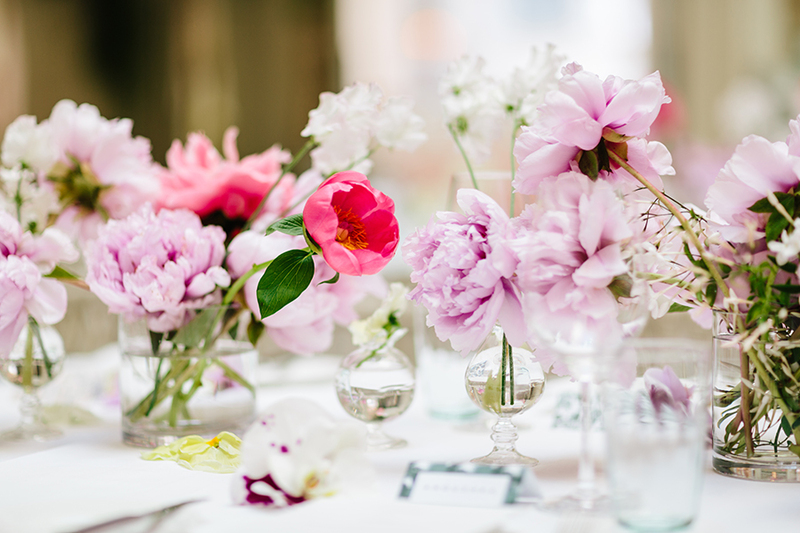 They used a mix of peonies and sweet peas to create a beyond stunning sculptural styled tablescape. I wanted to incorporate florals for our hair but I didn’t want to use flower crowns (as I have done it so many times before). 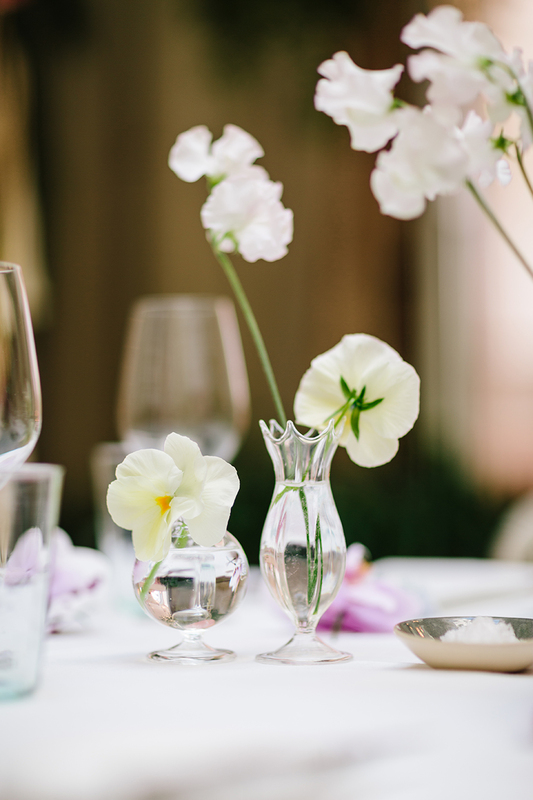 So I spoke to Fjura and we decided to use orchids at each place setting for the girls to put in their hair (or wherever really). It was such a nice touch and a different approach to the flower crown. 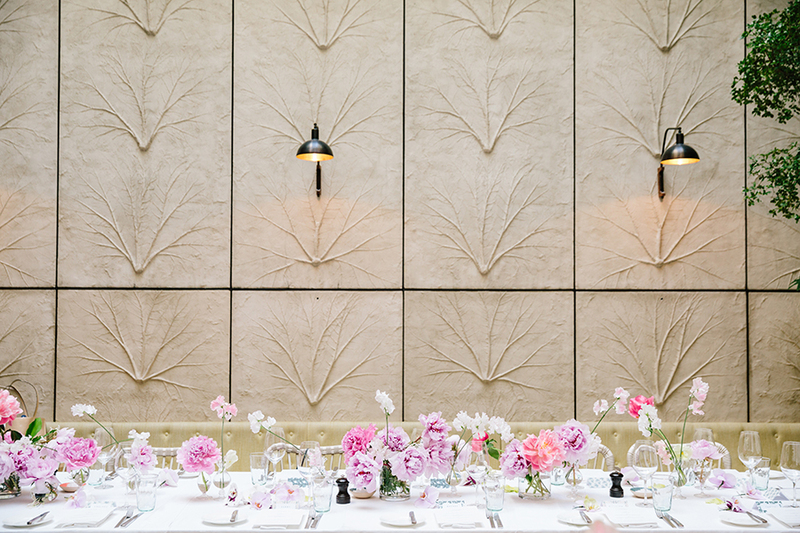 More of the long tables and flower styling from Fjura. The incredible cake was made by Lily Vanilli. 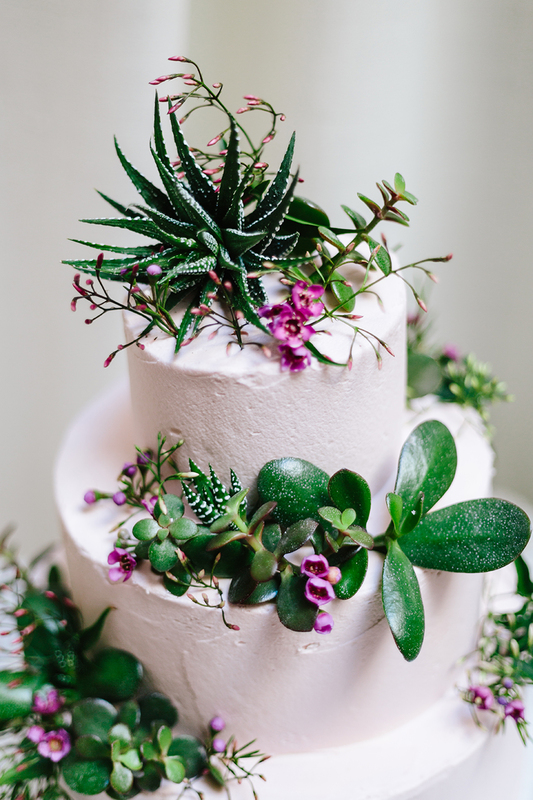 They designed it with a botanical theme in mind (to go with the restaurant decor) and the cake flavor was rose & pistachio (which is perfection by the way). I highly recommend their cakes for any occasion (I used them for my birthday as well)! Me and the crew for a group shot! We all had the floral orchids in our hair which were so much fun. 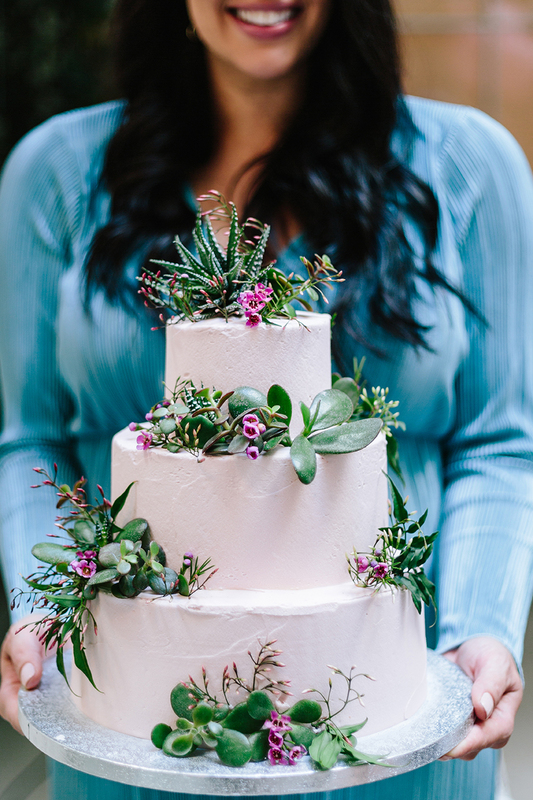 Oh this cake was just so stunning … (Thank you Lily Vanilli). 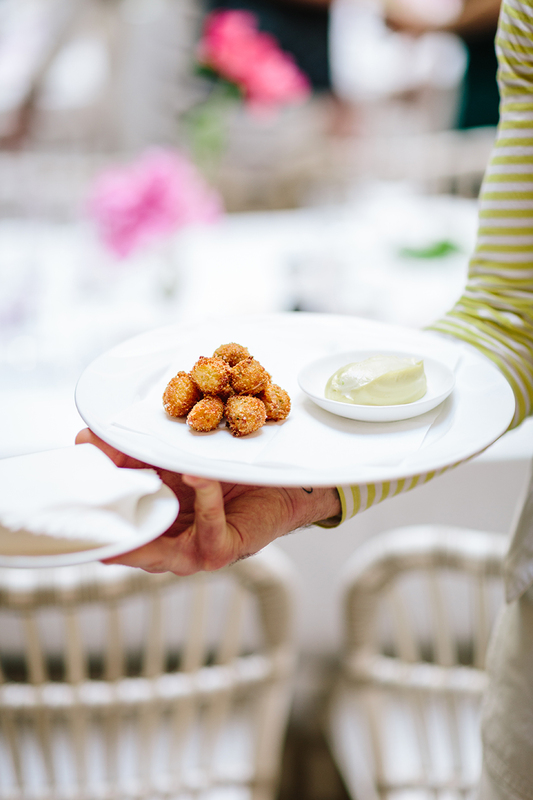 The food at Spring is delicious and made by the amazing Skye Gyngell. 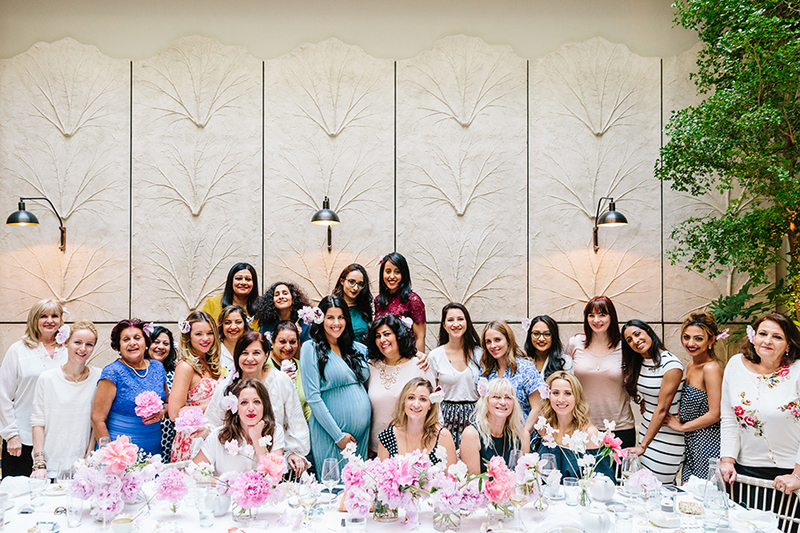 I was lucky enough to have some of my dearest friends from London and abroad celebrate with me. This is my SIL who basically organised the entire shower and I love her. (Side note: I am still love with these oversized balloons. They are always a good touch and a perfect backdrop for pics … and boomerangs for Insta of course. 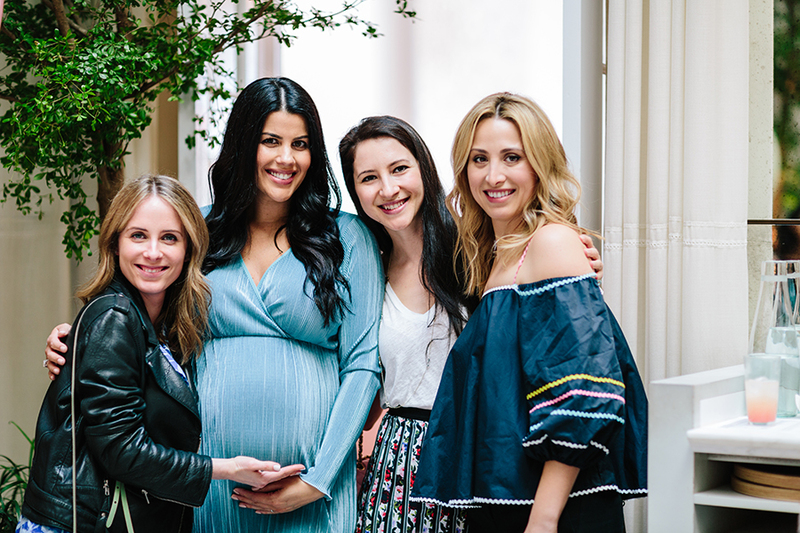 Such an beautiful day and I felt truly blessed to have been able to celebrate with some of my favorite ladies.